A Monash University politics lecturer says Sophie Mirabella’s appointment to the board of the Australian Submarine Corporation is not surprising. 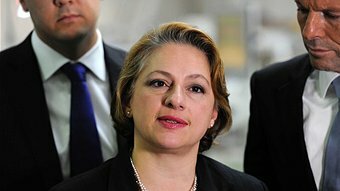 Former Member for Indi, Sophie Mirabella, has been appointed as a board member of the Australian Submarine Corporation (ASC). The ASC builds and maintains ships and submarines for the Royal Australian Navy in South Australia and Western Australia. Ms Mirabella was appointed to the board by the Minister for Industry, Mathias Cormann, for a three year term alongside senior executives Peter Iancov and Paul Rizzo. Mr Mathias said Ms Mirabella’s legal background and experience working with the manufacturing industry would make a valuable contribution to the board. When in federal opposition, Ms Mirabella was the Shadow Minister for Innovation, Industry and Science. Monash University politics lecturer, Nick Economou, said Ms Mirabella’s appointment to the board was not surprising. “Let’s not forget that politicians do have some skills that could be of some use in an exercise like that,” he said.